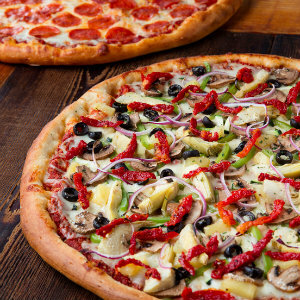 Everyone’s favorite foodie holiday, National Pizza Day, is on Saturday, February 9, and the best place to celebrate in Orange County is at Oggi’s Sports | Brewhouse | Pizza! With over a dozen mouth-watering pizzas to choose from, along with a build-your-own option, Oggi’s in Fullerton, Garden Grove, and Mission Viejo will offer cleverly named pizzas inspired by various sporting events including The Sports Fan (homemade pizza sauce, pepperoni, Italian sausage, red onions, green bell peppers, roasted garlic, and jalapeños), Triathlon (brushed with their garlic olive oil sauce and topped with all-natural chicken breast, crispy bacon, iceberg lettuce, sliced avocado, tomatoes, and a ranch drizzle), and more! 2595 Chapman Ave. in Fullerton. 714.526.4447. 12362 Chapman Ave. in Garden Grove. 714.534.3599. 24042 Alicia Parkway in Mission Viejo. 949.215.8570.